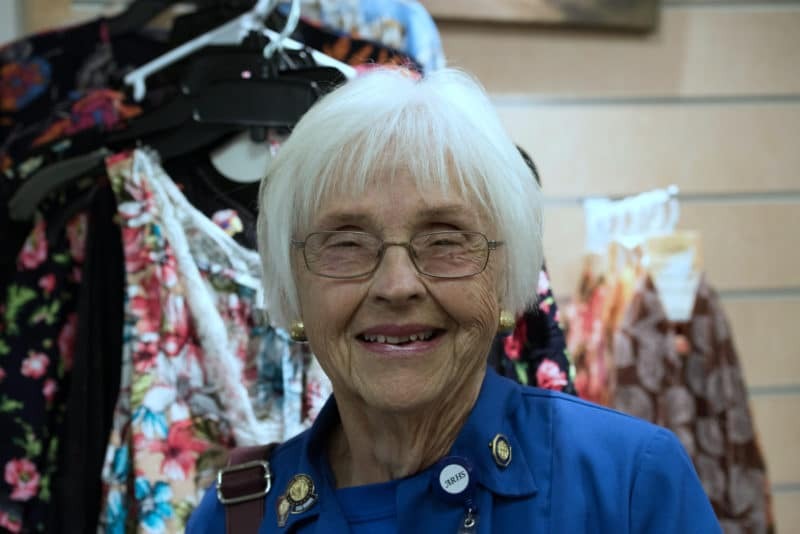 Barbara Robinson has been volunteering at WMC since 2006. She currently volunteers in radiation oncology and is a true blessing to anyone she meets. Below in her own words, Barbara shares why she decided to become a volunteer. I attended Indiana Central College studying elementary education which I utilized as a substitute teacher for two years when our son started school. However, I soon realized that teaching was not my calling as I had always loved the medical field. So I began my seven years at Florida Hospital in Orlando, Fla, obtaining my accredited records tech certification and served in the role of supervisor of medical/legal information release. I then relocated to Radiology Consultants and worked for the next seven years as supervisor of Medicare reimbursement. When my husband took early retirement, I followed and we began splitting our time between Florida and North Carolina. I knew I wanted to give something back to our new community and keeping my contact in medical records, I started volunteering at Watauga Medical Center. I also volunteer at ASU ushering at the summer arts series, at Watauga Humane Society as a greeter and with SNIPS (spay and neuter in a positive solution). I just enjoy helping people and animals find their way!